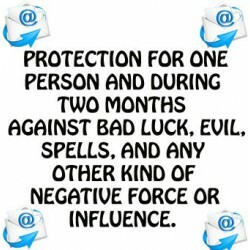 Protect you, your family and your loved ones, from any negative force to avoid bad luck, bad spells, black magic, evil, ghosts and any other kind of negativity so that you and your loved ones can live a happy and prosperous life without any calamity. Good Luck Talisman There are 3 products. 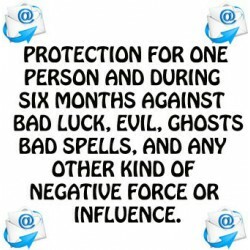 Get two months of full protection for one person with the help of the highest paranormal help. Get six months of full protection for one person through the highest parapsychology and by the best online medium. 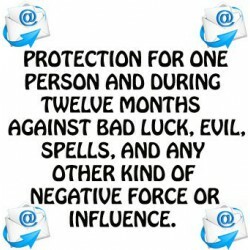 Get twelve months of full protection for one person.